Counter target spell unless its controller pays 3. Cycling 2U (2U, Discard this card: Draw a card.) 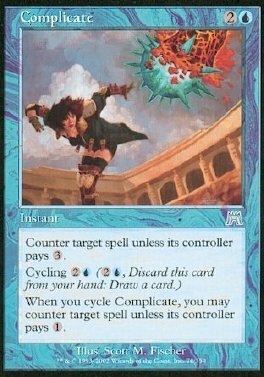 When you cycle Complicate, you may counter target spell unless its controller pays 1.